One convenient method for testing our model is to compare predicted outcomes to the observed outcomes. This is commonly done using the regression residuals. A well performing model will have residuals that center around zero with random fluctuations. 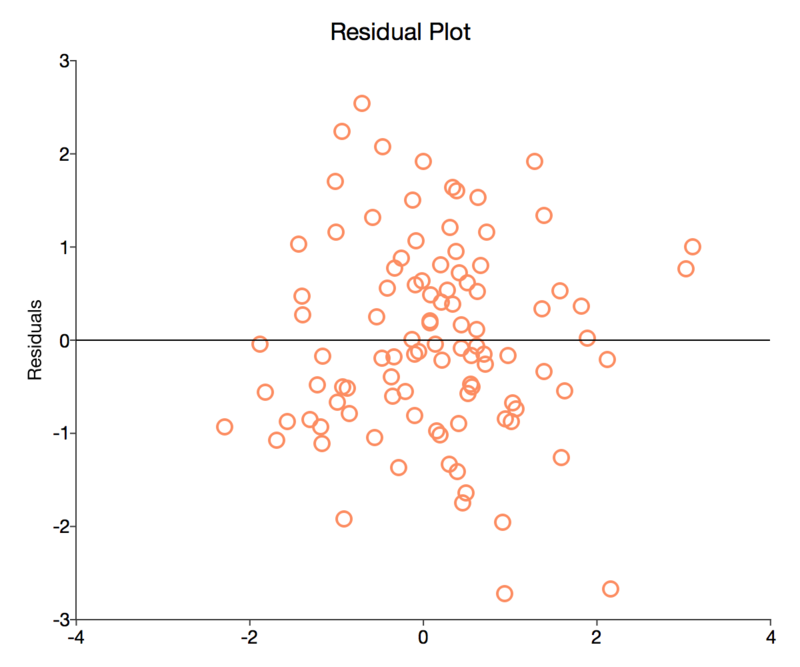 While there are many statistical methods for testing residuals, one quick and easy way to examine the behavior of residuals is to plot them. Note: The graph above was created using the plotScatter procedure. For more detailed information on plotting data and customizing graphs see our graph basics tutorial. It may help us see the size of the residuals more clearly if our graph has to a line at $ y = 0 $. This is easy to do in GAUSS using the plotAddXY command. After running the above code, your residual plot should now have a black zero line as we see below. Predicted outcomes and calculated residuals. 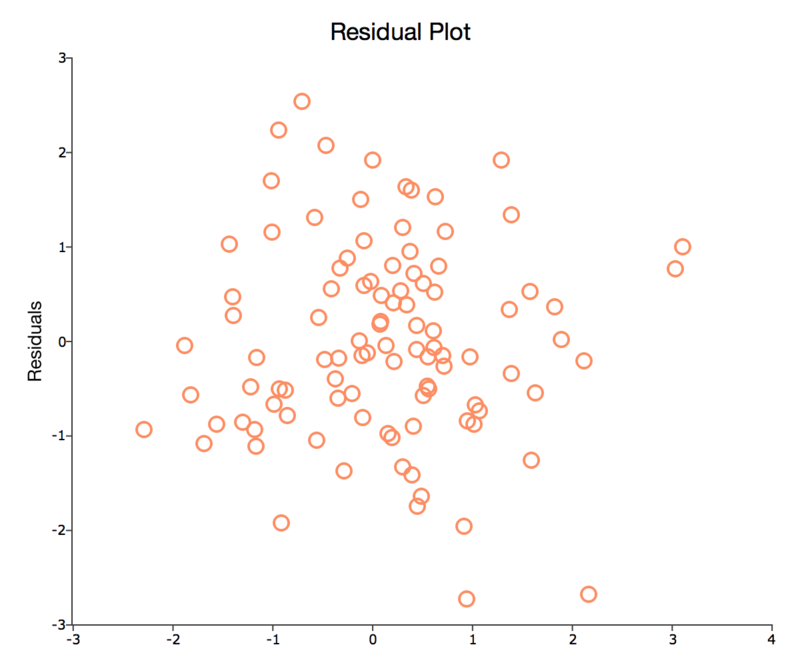 Created a scatter plot of residuals. Added a zero line to your plot. 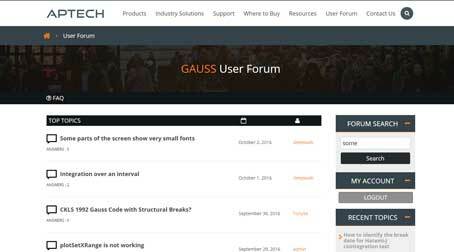 The next tutorial examines methods for testing error term normality. For convenience, the full program text from this tutorial is reproduced below.